Cats provide love and companionship for people of all ages and add pleasure and enjoyment to life for millions of people worldwide. Owning a cat is extremely rewarding and brings us hours of joy. Transfer Factor Plus Tri-Factor and Transfer Factor Classic are the most scientifically advanced immune support supplements for humans, cats, dogs, horses and cattle. They are formulated to keep your animals healthy and happy. Both products come in capsule form that can be given to your pet orally or pulled apart and mixed into their favourite pet food. 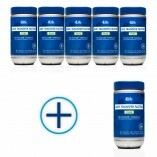 4Life’s products are made from the finest, scientifically researched ingredients, and proven for their effectiveness. For you, it means receiving the health support your cat needs from supplements that you can count on for consistency and guaranteed potency each time you use them. Transfer Factor Classic is great for kittens. Many professional breeders give Transfer Factor Classic to their kittens straight after they are born to give them the support they need for their immune systems as well as a great start at life. Remember the threats already encountered to promote quick response in the future. 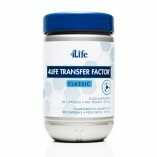 You can purchase 6 bottles for the price of 5 of Transfer Factor Classic and receive 1 bottle for FREE. 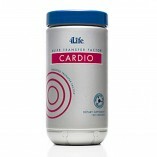 20-30 kg – One capsule once a day for 3 days and increase to 2 capsules a day. 30 kg – One capsule 2 times a day to be gradually increased to 3 capsules a day. Large Animals – One to two capsules 2-3 times a day. You can purchase 6 bottles for the price of 5 and receive 1 bottle for FREE. 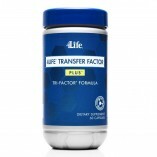 Transfer Factor Plus Tri-Factor has absolutely no toxicity or side effects even at mega doses. 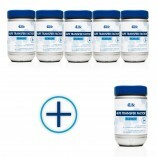 You may increase the amounts even further to achieve the desired level of immune efficiency. Although Transfer Factor is best given to your cat throughout the day, good results have been obtained by giving the dose once a day. There is no report of overdosing on Transfer Factor, even when consuming in very large amounts. These products have absolutely no toxicity or side effects even at mega-doses.